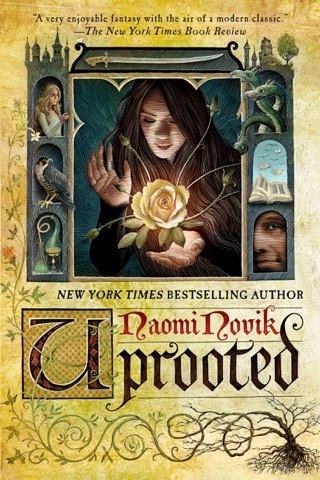 Expanding on the richly imagined world she created for Uprooted, Naomi Novik pulls us into a story of foreboding forests, wintery magic, and tenacious female characters. 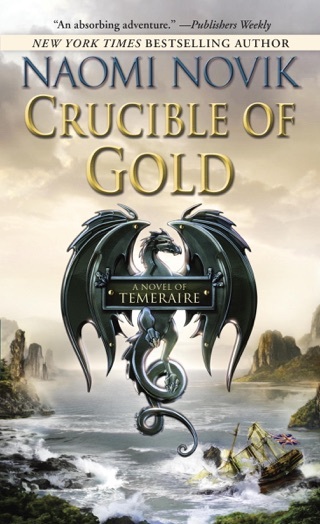 The novel centers on Miryem, a moneylender who can transform silver into gold, and explores themes of ethnic prejudice, family legacies, and secret agendas. A dark fairy tale that's both relatable and mythic, Spinning Silver draws inspiration from Eastern European folklore. 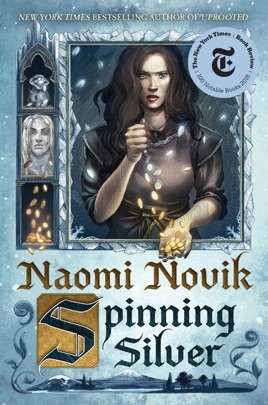 Like the best storytellers, Novik spins unexpected consequences from seemingly simple choices and builds toward a satisfying ending—and the perfect final sentence. This gorgeous, complex, and magical novel, grounded in Germanic, Russian, and Jewish folklore but richly overlaid with a cohesive, creative story of its own, rises well above a mere modern re-imagining of classic tales. 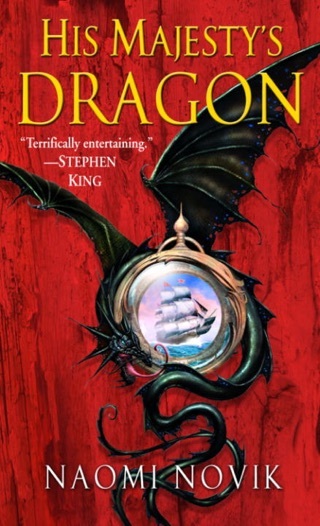 Novik (Uprooted) begins the story through the eyes of Miryem, a Jewish moneylender's daughter, whose pride in her ability to wring payments from borrowers draws the demanding attention of the terrifying, otherworldly, and rules-bound Staryk, who are ruled by a wintry, gold-loving king. Secondary characters a peasant boy, a duke's daughter, a tsar eventually become narrators, weaving interconnections that feel simultaneously intimate and mythic. Novik probes the edges between the everyday and the extraordinary, balancing moods of wonder and of inevitability. Her work inspires deep musings about love, wealth, and commitment, and embodies the best of the timeless fairy-tale aesthetic. 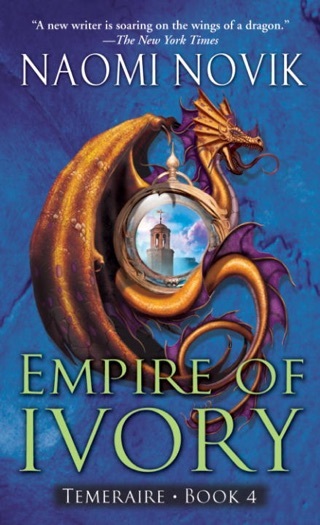 Readers will be impressed by the way Novik ties the myriad threads of her story together by the end, and, despite the book's length, they will be sad to walk away from its deeply immersive setting. This is the kind of book that one might wish to inhabit forever. Decent story line, but lengthy for what is was; could have been condensed a bit more. many of the storylines within the book did not seem necessary and I could not get into them or really understand the relevance of having a few by the end of the book. The writing here is just delicious. I don’t know of a better way to put it. There is no way to properly praise this book without spoilering it. 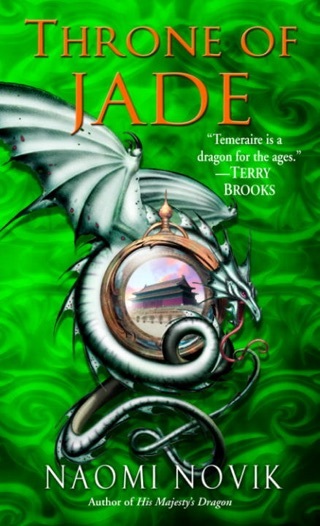 I’ll just say that each of the characters is vivid and alive and human. The relationships are complex and beautifully drawn. The story is engaging. I was happily in tears at the end. Can’t recommend this enough. Can’t even begin to describe how great this book is. So much fun to read and such a new and unusual story! Read it as soon as you can!! !